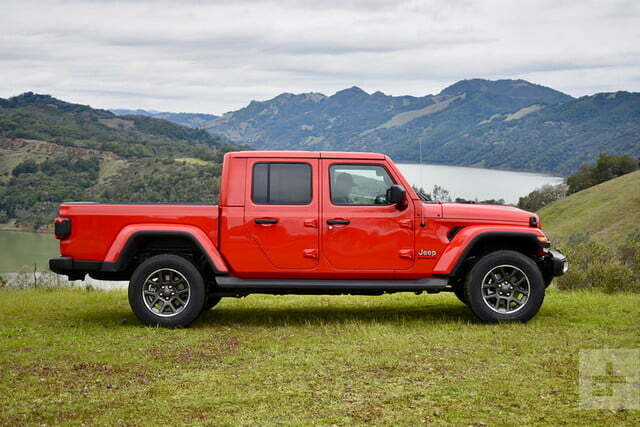 The Gladiator combines the functionality of a pickup truck with the fun of a Jeep Wrangler. 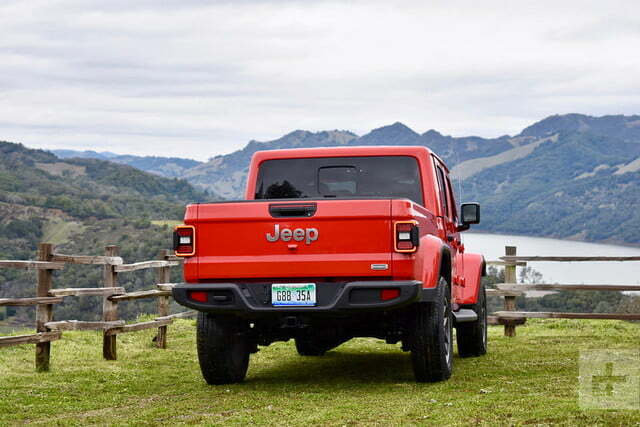 The 2020 Jeep Gladiator is one of the most anticipated vehicle launches of the year. 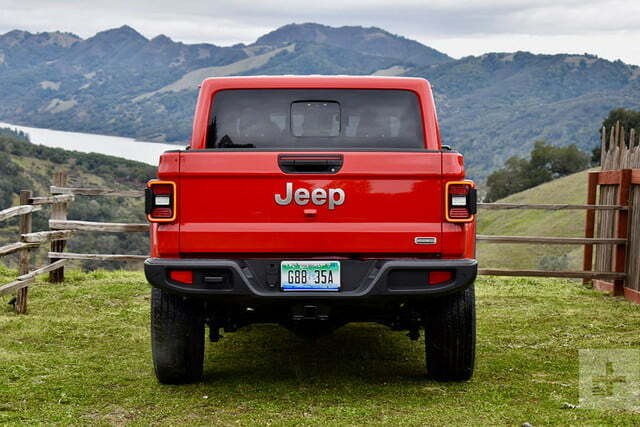 Jeep hasn’t made a pickup truck since 1992, when the Cherokee-based Comanche ceased production. Fans have been clamoring for a new Jeep truck ever since, and Jeep itself has teased the idea of a pickup based on the popular Wrangler since 2004, when it unveiled a concept car called, you guessed it, Gladiator (the name was first used on a Jeep truck in 1963). Now that the Gladiator is finally here, was it worth the wait? Can Jeep’s new Wrangler-based pickup compete against conventional midsize trucks like the Chevrolet Colorado, Ford Ranger, and Toyota Tacoma? We went to California’s wine country to find out. When it goes on sale later this year, the Gladiator will be available in four trim levels: base Sport ($35,040), Sport S ($38,240), Overland ($41,890), and off-road-focused Rubicon ($45,040). All prices include a mandatory $1,495 destination charge. 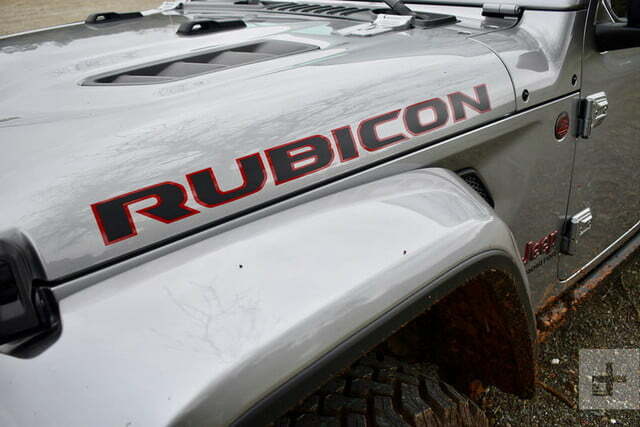 Jeep provided an Overland model for on-road driving and a Rubicon for off-roading during our test. At first glance, the Gladiator looks like a Jeep Wrangler Unlimited with a pickup bed, which is fine. 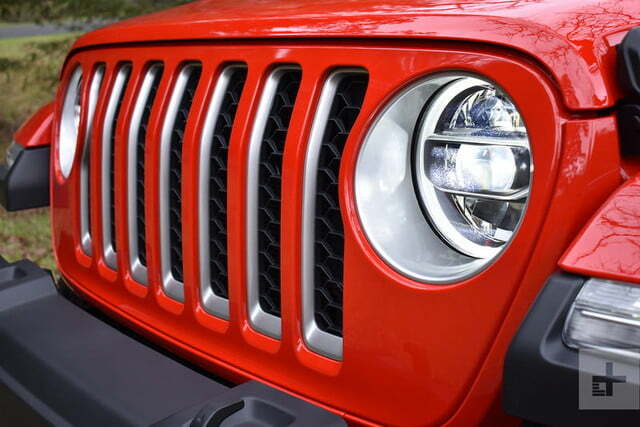 The bed, with its square taillights and simple “Jeep” lettering, compliments the familiar Wrangler front end nicely, giving the Gladiator a cool, retro look. 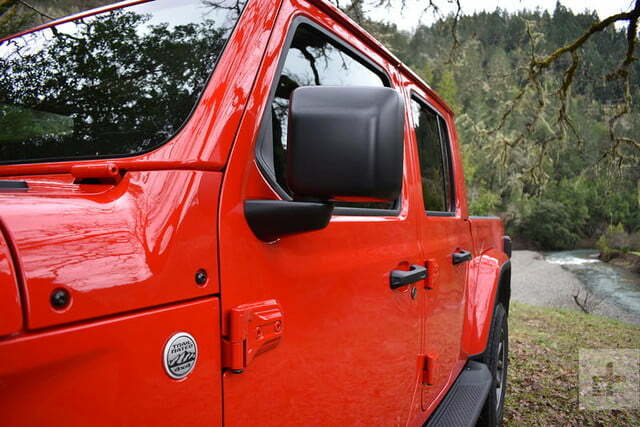 From behind the wheel, the Wrangler-like exterior pays dividends in excellent outward visibility. The square, upright windows and stubby front end make maneuvering in tight spaces easy, both on road and off. 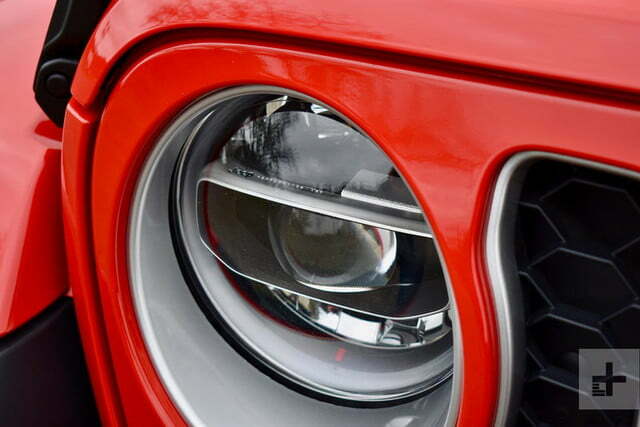 The Rubicon model’s front-view camera (active only at low speeds due to regulations) also helps. 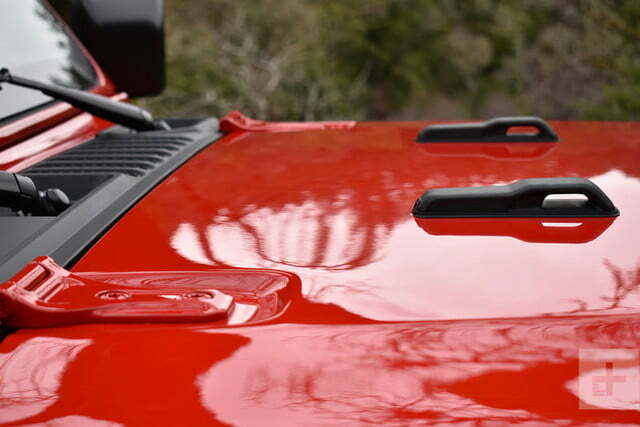 Jeep also kept the fun stuff from the Wrangler, including a fold-down windshield, removable roof (soft top standard, hard top optional) and removable doors. 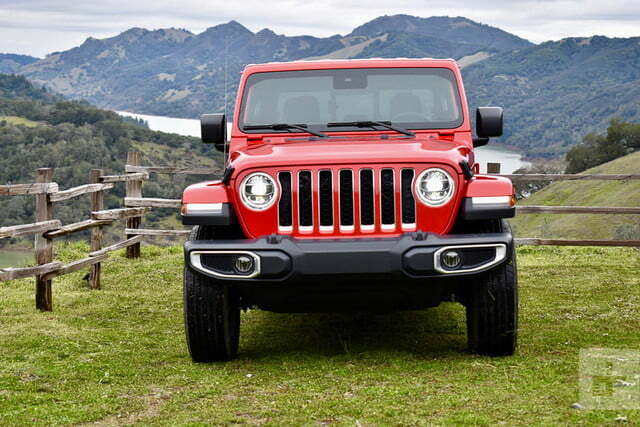 But under the skin, the Gladiator deviates significantly from the Wrangler. “We couldn’t just take a Wrangler, put a box on it, and say it’s truck-capable,” Pete Milosavlevski, chief engineer for the Gladiator, told Digital Trends. The pickup features a unique frame and rear suspension, as well as bigger rear brakes, beefed up axles, and a better cooling system compared to the Wrangler. 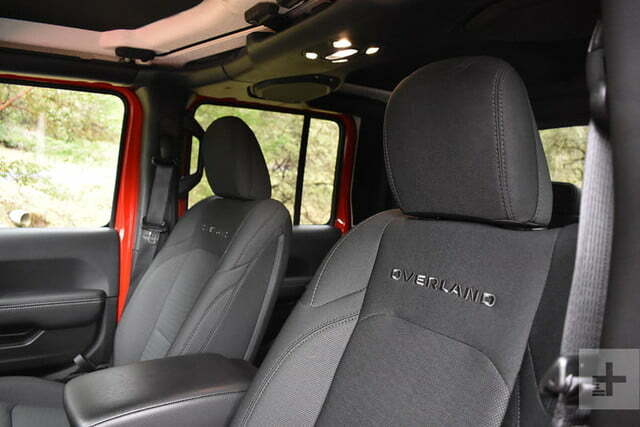 The interior will be familiar to anyone who has spent time in a current-generation Wrangler. It sports an upright dashboard meant to mimic vintage Jeeps, while still accommodating the obligatory modern touchscreen. 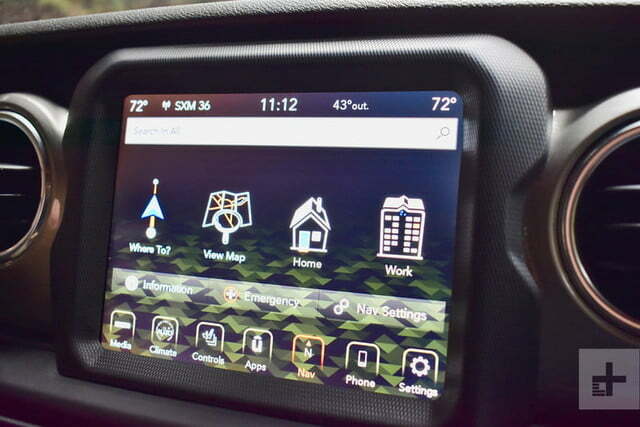 Jeep was quick to point out a smattering of real metal trim, as well as a rugged-feeling rubber molding around the touchscreen, but plastic seemed to be the most common trim material. 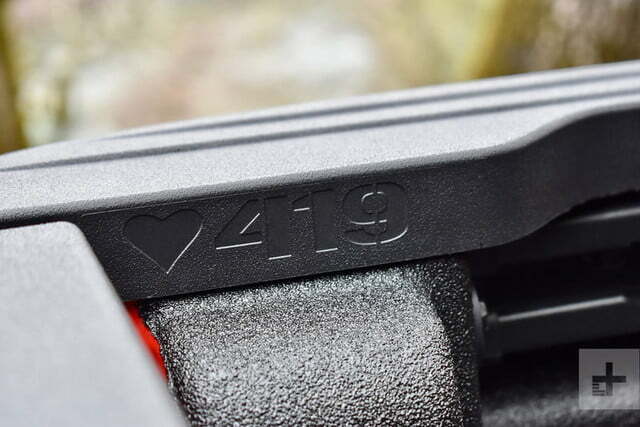 The design makes up for that, though, as do numerous Easter Eggs like the image of a Jeep crawling up a corner of the windshield, and a stamping on the edge of the bed with the number 419 and a heart — referencing the area code of Jeep’s hometown of Toledo, Ohio. 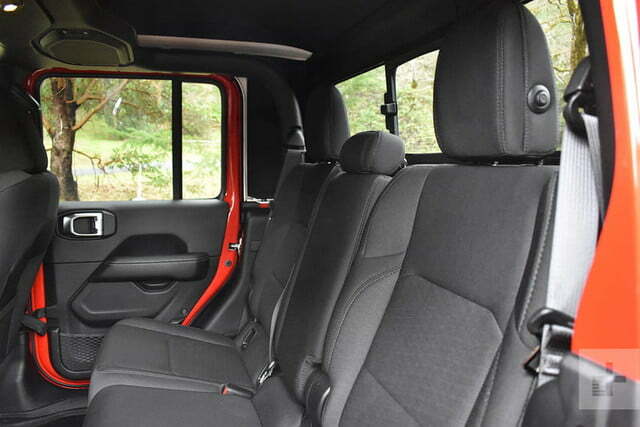 The Gladiator has a generous amount of interior space for a midsize truck, particularly in the back. 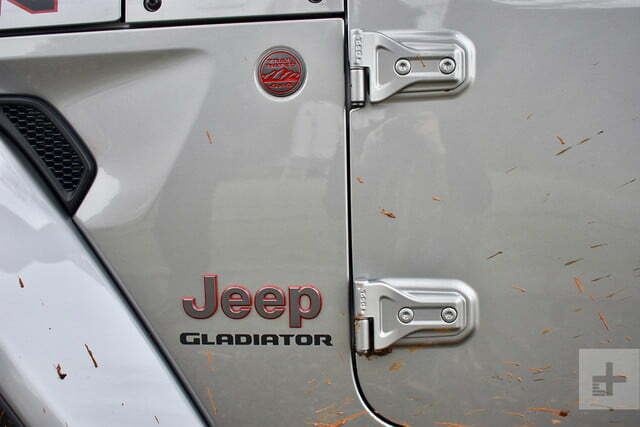 Jeep also made some Gladiator-specific changes inside. 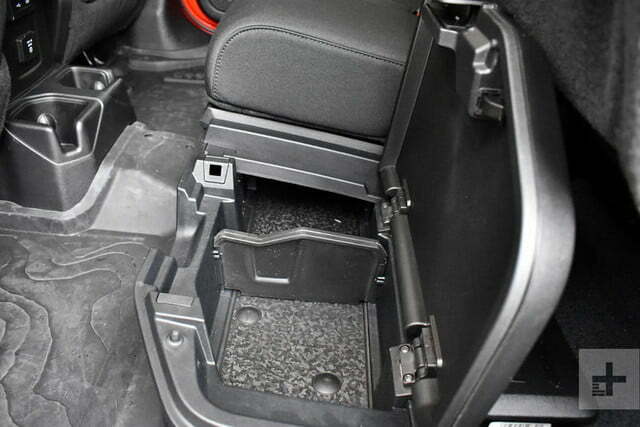 The rear seats are new, and incorporate a lockable under-seat storage box so driver and passengers have a secure place to keep valuables while driving around with the doors off. 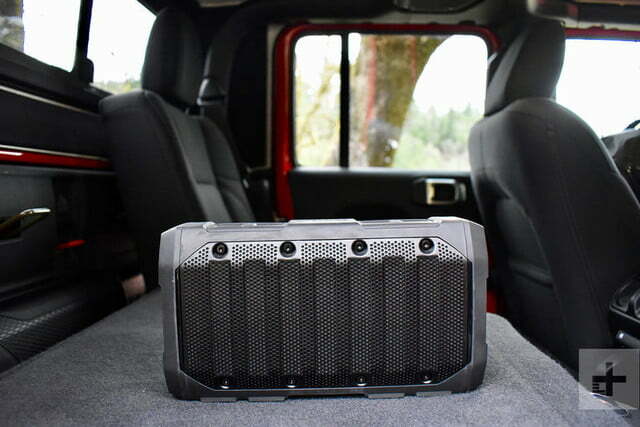 A water-resistant Bluetooth speaker lives in the bulkhead between the cab and bed. 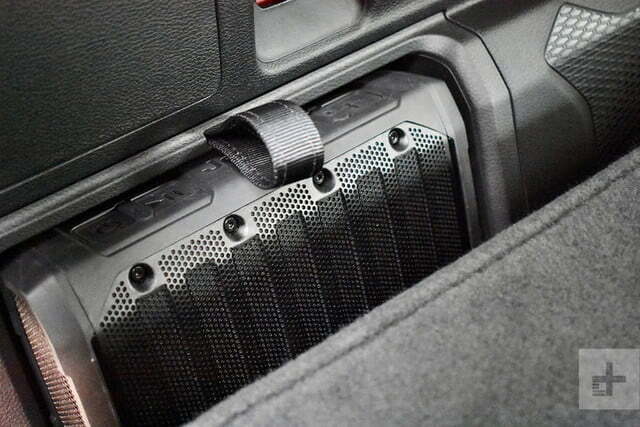 It unplugs to provide a portable source of music wherever the Gladiator goes. The Gladiator is 31 inches longer than a Wrangler Unlimited with a wheelbase stretched 19.4 inches. 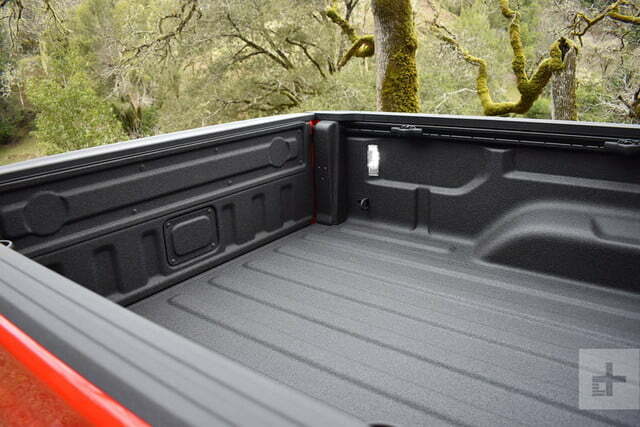 That translates into a generous amount of interior space for a midsize truck, particularly in the back. 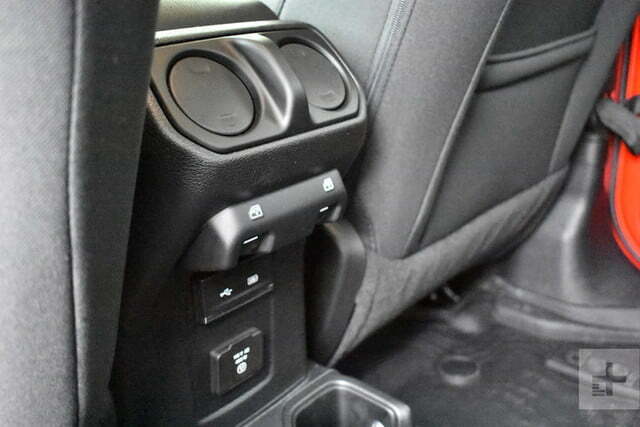 Only the Honda Ridgeline, another midsize pickup truck based on an existing SUV (it’s basically a Honda Pilot with a bed) comes close in overall interior space. Note that the Gladiator’s hard top roof does come with a significant headroom penalty over the soft top. Most other automakers (Honda being the exception) offer their midsize trucks with a four-door cab and short bed, or a two-door cab and long bed. 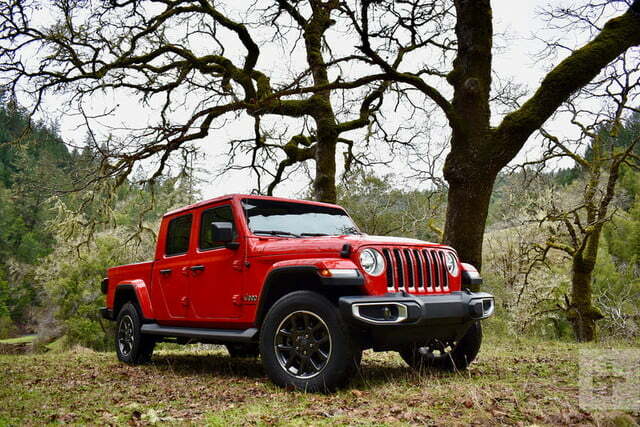 Jeep only offers the former, a move that fits with the automaker’s positioning of the Gladiator as primarily a lifestyle vehicle, rather than one for people who use their trucks for work. The Gladiator is available only with a 5.0-foot pickup box, with a cargo capacity of 35.5 cubic feet, according to Jeep. That’s a decent amount of room, but not as much as a Ford Ranger equipped with a box of the same length. 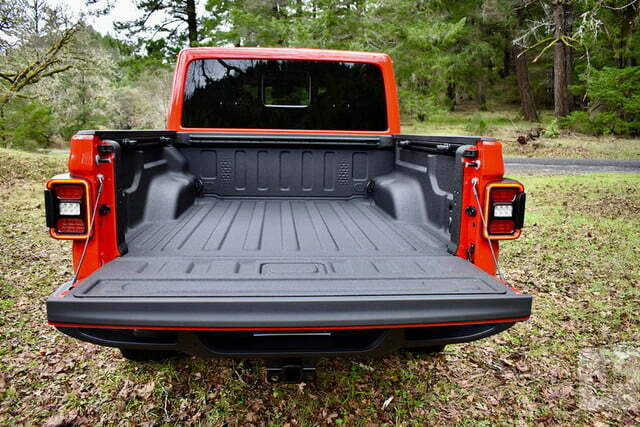 Ford claims its truck can hold 43.3 cubic feet of cargo. 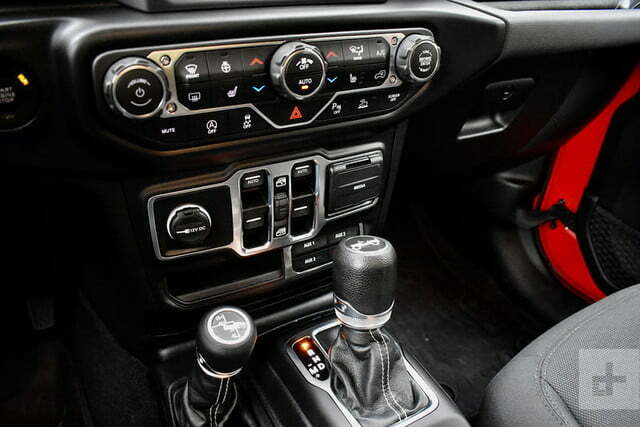 The Gladiator uses the Uconnect infotainment system previously seen in numerous vehicles from Jeep and other Fiat Chrysler Automobiles (FCA) brands. 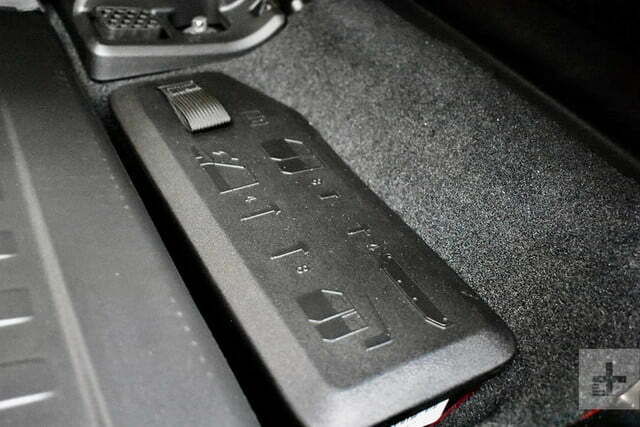 Apple CarPlay and Android Auto are standard, along with five USB ports (three front, two rear) are standard. The base Gladiator Sport gets a 5.0-inch touchscreen as standard equipment, but 7.0-inch and 8.4-inch screens are also available. 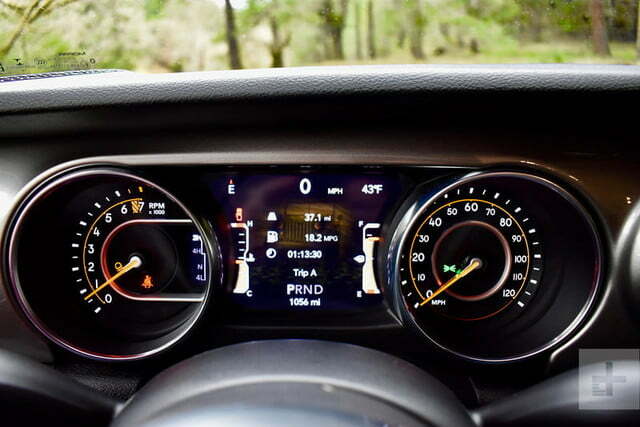 A 3.5-inch TFT display (7.0-inch on higher trim levels) sits between analog gauges in the instrument cluster. 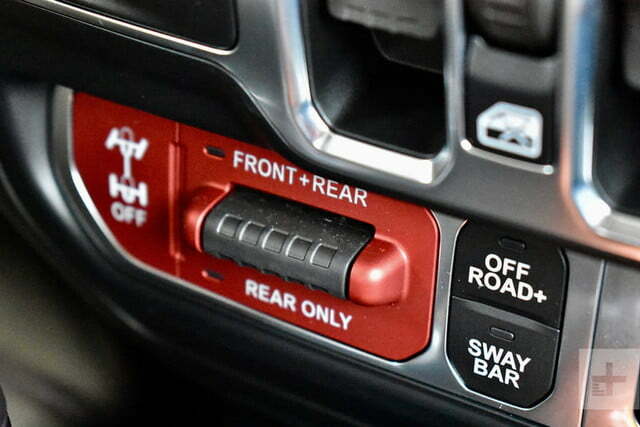 Jeep offers adaptive cruise control and blind spot monitoring, but the latter can’t cover an attached trailer, as the Ford Ranger’s system can. The Gladiator Rubicon model does get a forward-facing camera that detects obstacles that are up to two feet ahead of the vehicle, which comes in handy on the trail. It also features dynamic gridlines that show where the vehicle will go based on the current steering angle. 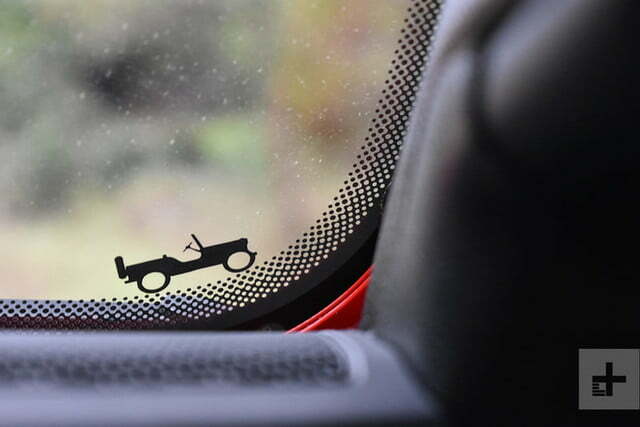 Normally found on rear-view cameras, that feature really comes in handy when picking your way through mud and boulders off-road. Forward-facing camera features dynamic gridlines that show where the vehicle will go based on the current steering angle. 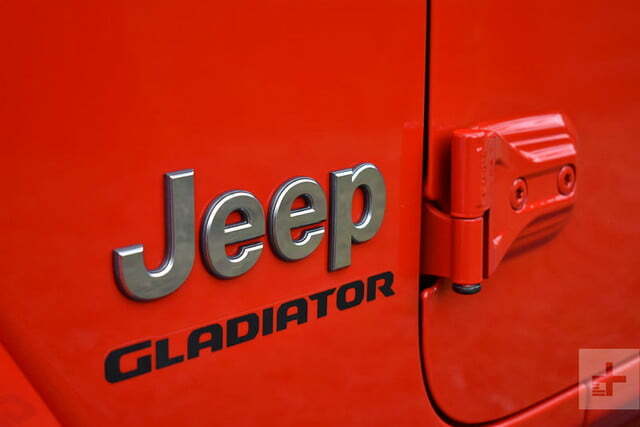 The Gladiator also features Jeep’s Selec-Speed Control system. It’s basically off-road cruise control, handling acceleration and braking while the driver steers. The driver can also select a speed between 1 and 5 mph (that’s about as fast as you want to go during really technical off-road driving). 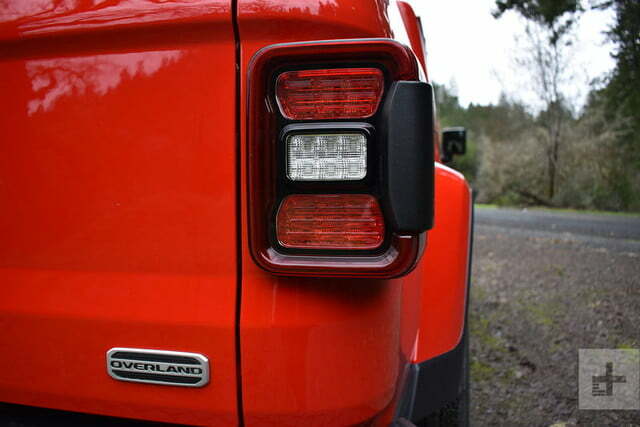 While the Ford Ranger and Toyota Tacoma feature similar systems, Jeep’s is much more capable. It guided us over a pile of mud-slicked rocks at 1 mph effortlessly, keeping the Gladiator moving over these tough obstacles with the persistence of a zombie. 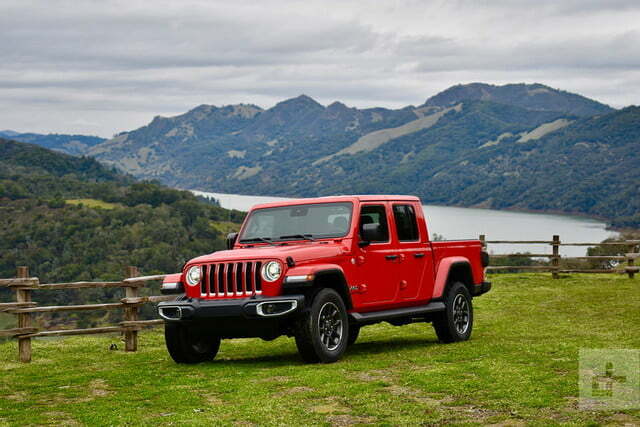 At launch, the Gladiator will be available only with Jeep’s familiar 3.6-liter gasoline V6, producing 285 horsepower and 260 pound-feet of torque. Six-speed manual and eight-speed automatic transmissions are available, and the Gladiator is the only midsize truck with standard four-wheel drive. The Rubicon gets a model-specific four-wheel drive system with locking front and rear differentials and 4.10 low-range gear ratio for improved off-road capability. 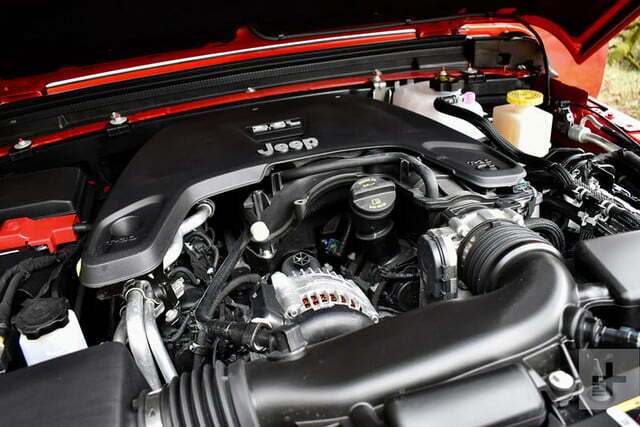 Jeep will add a 3.0-liter V6 turbodiesel to the lineup during the 2020 calendar year. 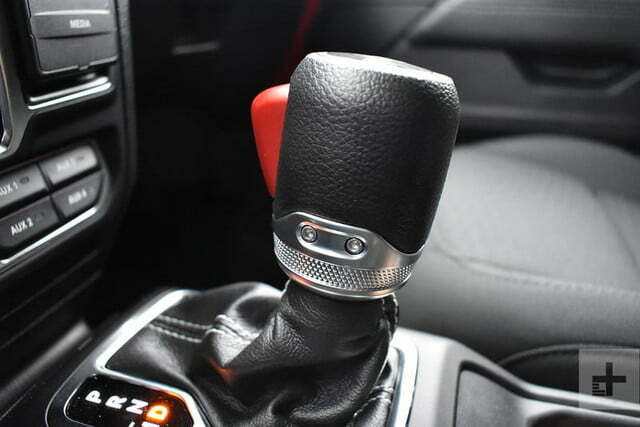 Available only with the eight-speed automatic, the six will make 260 hp and a stout 442 lb-ft of torque. Since it won’t be available until next year, we didn’t have an opportunity to sample this engine. 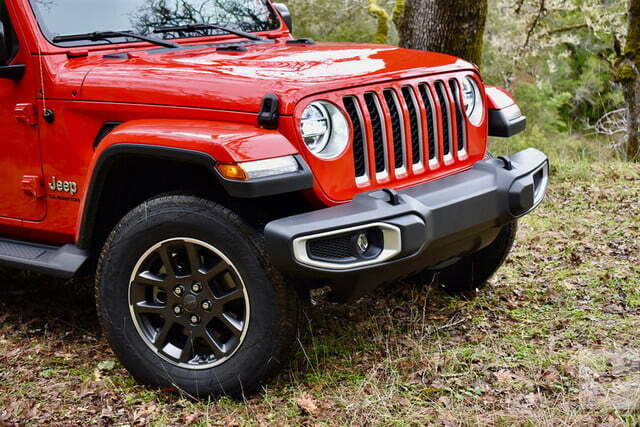 Jeep hasn’t discussed plans to offer the Wrangler’s 2.0-liter turbocharged four-cylinder engine, or the upcoming plug-in hybrid powertrain, in the Gladiator. The Gladiator kept moving over tough obstacles with the persistence of a zombie. With the gasoline V6, the Gladiator offers more horsepower than any other midsize truck engine except the Chevrolet Colorado and GMC Canyon twins, which make 308 hp with their shared, optional 3.6-liter V6. However, torque output is back-of-the-pack stuff. That will change when the diesel goes on sale. It will eclipse even the 369 lb-ft of the Colorado/Canyon diesel – the torquiest engine currently available in a midsize truck. Lack of torque doesn’t stop the gasoline-powered Gladiator from putting out some impressive figures. 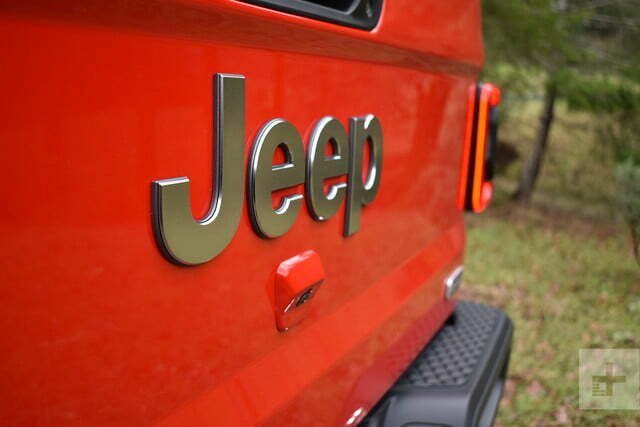 Jeep claims it will tow up to 7,650 pounds when properly equipped, with a payload capacity of 1,600 pounds. Both figures put the Gladiator near the top of its class, but the Chevy Colorado and GMC Canyon diesels can tow slightly more (7,700 pounds), while the Ford Ranger offers more payload capacity (1,860 pounds), according to their respective makers. The Gladiator is also a true Jeep off the beaten path. 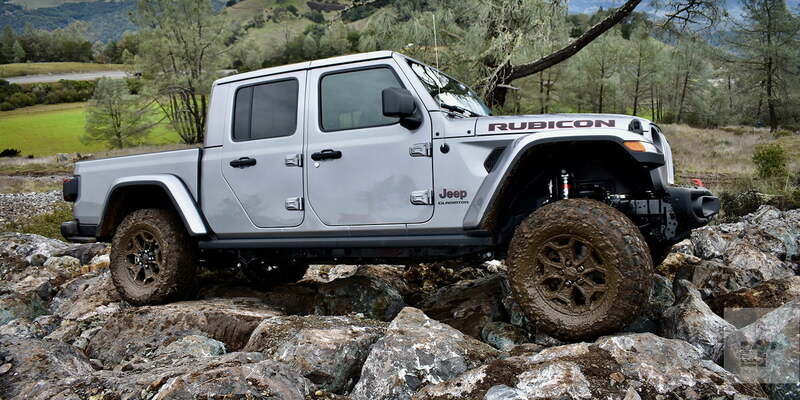 The Rubicon model’s locking differentials, 33-inch tires (aired down, per standard off-road practice), and disconnecting sway bars made quick work of an off-road course that featured deep mud and rocks made slick by recent rainfall. 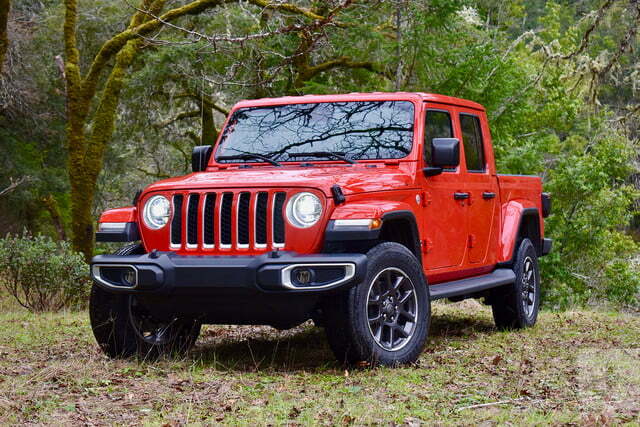 Given Jeep’s off-road reputation, we expected the Gladiator to handle this. We didn’t expect it to be so easy. All Gladiator models have four skid plates to protect the underside, while the Rubicon adds rock rails under the doors and at the bed corners to protect the bodywork from damage. The Gladiator was built for the trail, but will probably see more pavement than dirt in customer hands. That’s a problem because, unlike the current-generation Wrangler, the Gladiator’s on-road manners could use some polish. The ride quality is poor even for a traditional body-on-frame truck, and especially bad considering how well the similarly constructed Ford Ranger and Chevy Colorado ride on pavement. Jeep picked twisty roads for the drive to the off-road course, including a stretch of California’s famous Pacific Coast Highway. This is a great place to wring out a sports car, but the Gladiator felt out of place. It’s not all bad, though: the hard top model felt as stiff and solid as a vehicle with a permanently-attached roof, and wind noise was subdued. 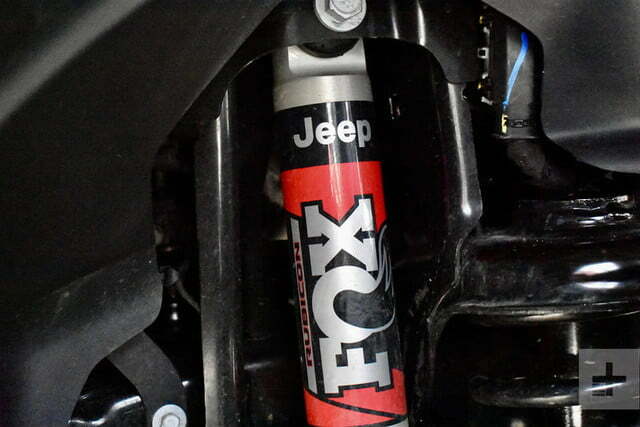 Jeep only had fuel economy estimates for the 3.6-liter gasoline V6 ready in time for publication. It’s expected to get 19 mpg combined (17 mpg city, 22 mpg highway) with the automatic transmission. The combined figure remains the same with the manual transmission, but city and highway estimates are 16 mpg and 23 mpg, respectively. Those numbers are just below average for the segment. The fuel-economy champ of the Gladiator lineup will be the upcoming diesel. 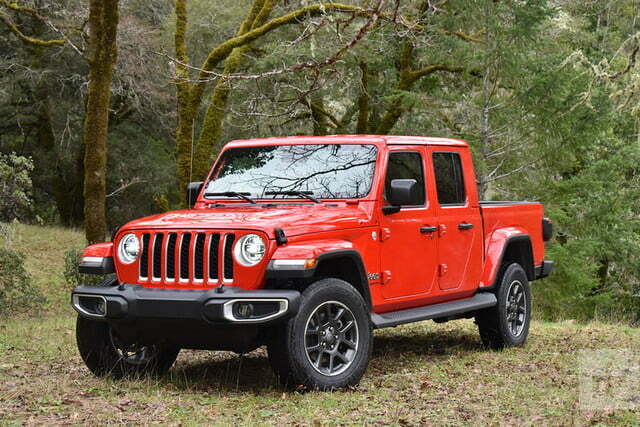 The 2020 Jeep Gladiator joins the small but competitive midsize-truck segment. These are its rivals. Chevrolet Colorado (base price: $21,495)/GMC Canyon (base price: $22,095): The General Motors twins offer more V6 horsepower, and you can get both with a diesel engine right now, instead of having to wait for Jeep to add that option to the Gladiator. Both trucks are nicer to drive on the road, and the Chevy Colorado ZR2 offers serious off-road capability. Ford Ranger (base price: $25,395): The Ranger is based on a model previously sold overseas, but has been heavily revamped for the U.S. It has more payload capacity than the Jeep, as well as better on-road handling and ride. The Ranger can’t match the Gladiator’s off-road capability, but it performs fairly well in the dirt. The Ranger Raptor Ford sells in other markets would be a closer rival to the Jeep. Honda Ridgeline (base price: $31,035): Honda is the contrarian of the midsize truck world. The Ridgeline is based on a car-like unibody platform, offering superior ride quality and refinement to the body-on-frame Gladiator and other, more traditionally-designed trucks. However, the Ridgeline can’t match the Gladiator’s towing and payload numbers, or its off-road capability. Nissan Frontier (base price: $20,035): The current-generation Frontier dates back to 2005 so, not surprisingly, it lags behind the Gladiator and other competitors in tech, fuel economy, and overall refinement. But the Nissan is a bargain, and it offers an honest simplicity that can’t be found in newer vehicles. Toyota Tacoma (base price: $26,795): The Tacoma has a well-reserved reputation for reliability, and has better on-road manners than the Gladiator. However, the cab felt cramped and dated compared to the Jeep, and the Tacoma’s payload and towing figures are only average. Toyota is rolling out some updates for the 2020 model year, including a new infotainment system compatible with Android Auto. Jeep offers a three-year, 36,000-mile new-car warranty and five-year, 60,000-mile powertrain warranty. Because the Gladiator is a new model, crash-test ratings are not available. That also makes it difficult to predict future reliability, although FCA vehicles have an overall poor reputation in this area. We would go straight to the top and order a Rubicon. While $45,040 is a lot for a midsize truck, and maximum towing capacity is reduced to 7,000 pounds, the Rubicon gets the off-road upgrades that bring out the Gladiator’s true potential. The 4:10-ratio Dana 44 axles and rock rails are items any serious off-road enthusiast will want to fit to their Gladiator, so why not get them straight from the factory? 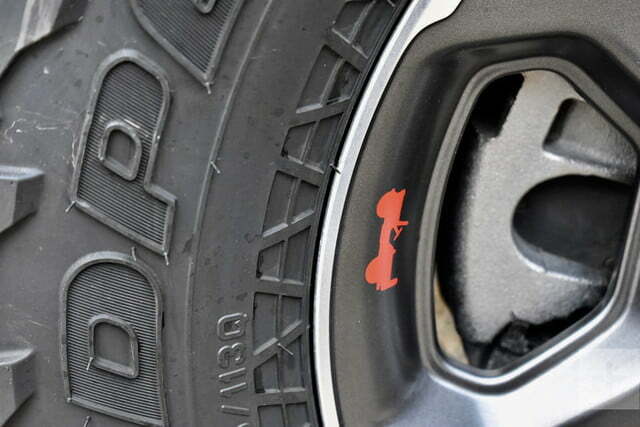 The Rubicon comes stock with 33-inch tires, but Jeep noted the fenders could accommodate tires up to 35 inches in diameter without modification. So our first stop after the dealership would probably be a tire shop for some larger rubber. Jeep will also offer a 2.0-inch lift kit and tube doors through the Mopar parts catalog. 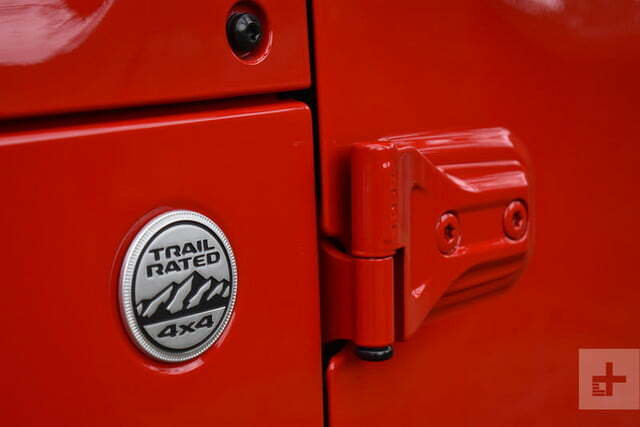 Finally, we would fit a winch to get us unstuck from any trouble spots on the trail. 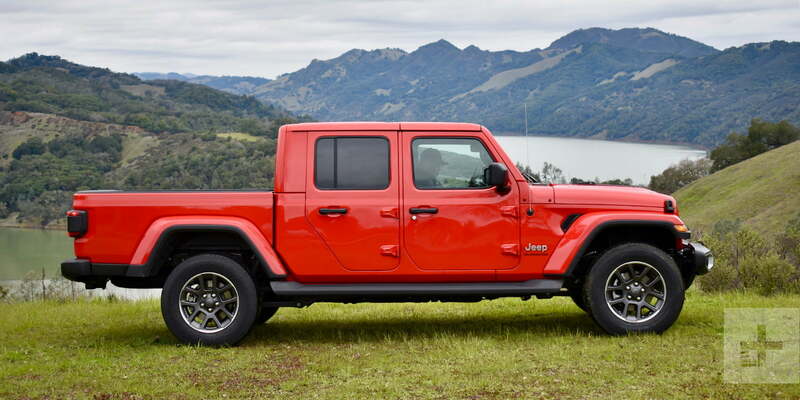 It’s surprising that Jeep took so long to launch the Gladiator. 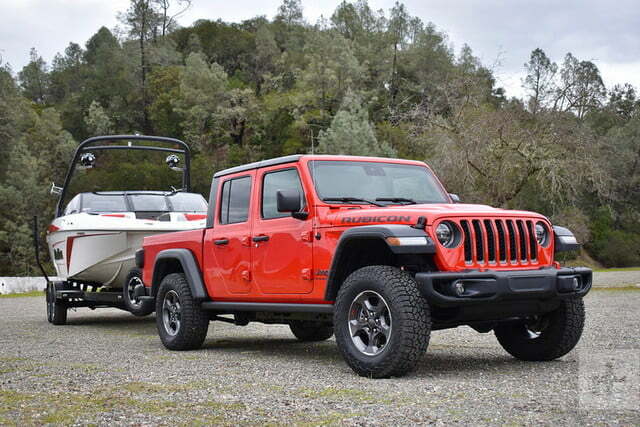 The combination of Wrangler capability and pickup truck utility is an obvious one. It’s also hard to beat the cool factor of a truck with a convertible top and removable doors. It may be designed more for play than work, but the Gladiator is a credible alternative to traditional midsize trucks like the Ford Ranger and Toyota Tacoma.